I have been part of Hope Fitness for 5 1/2 years now and I love it. I have never stuck at anything else for this long. The reasons why I keep coming are the friendly and motivational atmosphere, variety of classes and exercises, the fact I can bring my children along if I need to. I am now the fittest I have ever been and this is thanks to Hope Fitness. My running really improved last year, running a marathon, and winning the 2018 Suffolk GP Running V40 category. 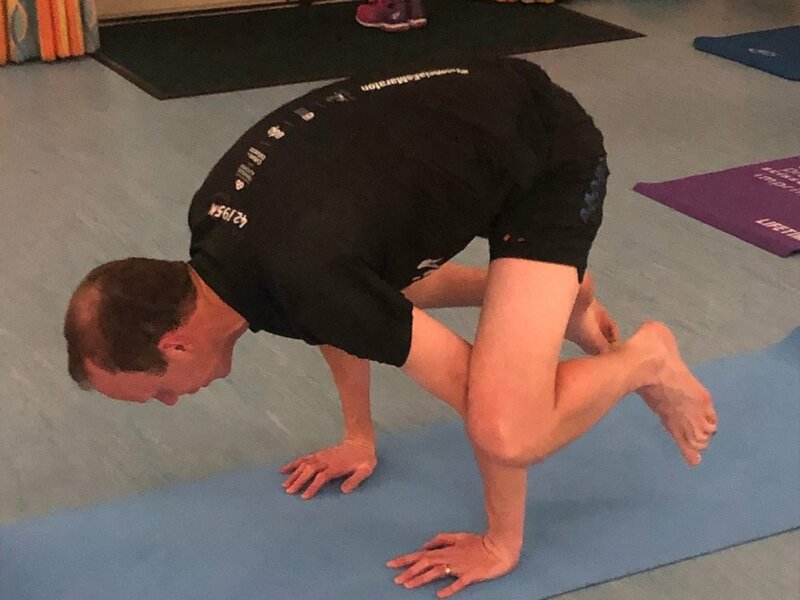 I wouldn’t have achieved this without your yoga sessions improving my core strength, stability and reducing the risk of injury. I’m really enjoying working out with Hope Fitness, I’d never wanted to join a gym the thought scares me but with Hope Fitness it’s more like a group of friends out in the fresh air having a laugh. I love the variety of classes and try to go to as many as I can as they’re fun as well as doing the main thing of exercising.